Lenovo Explorer is Lenovo’s Windows Mixed Reality headset. It is designed to be affordable ($399/399€/399£), and to allow anyone to experience the world of MR. Microsoft tries to push the barrier of entry low by making WMR work on all kinds of PCs – no dedicated gaming machine is required. How well do they succeed? How does it feel to stand in another world with MR glasses on? Let’s find out! 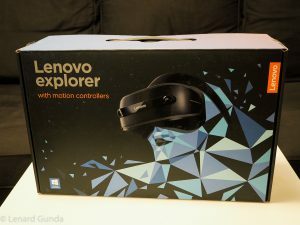 Disclaimer: The Lenovo Explorer package was sent to me as part of the Lenovo Insiders advocacy program. I did not receive any other compensation. All opinions presented in this article are my own. 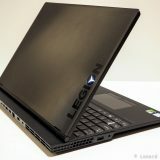 The Lenovo Y520 gaming notebook was purchased by me. 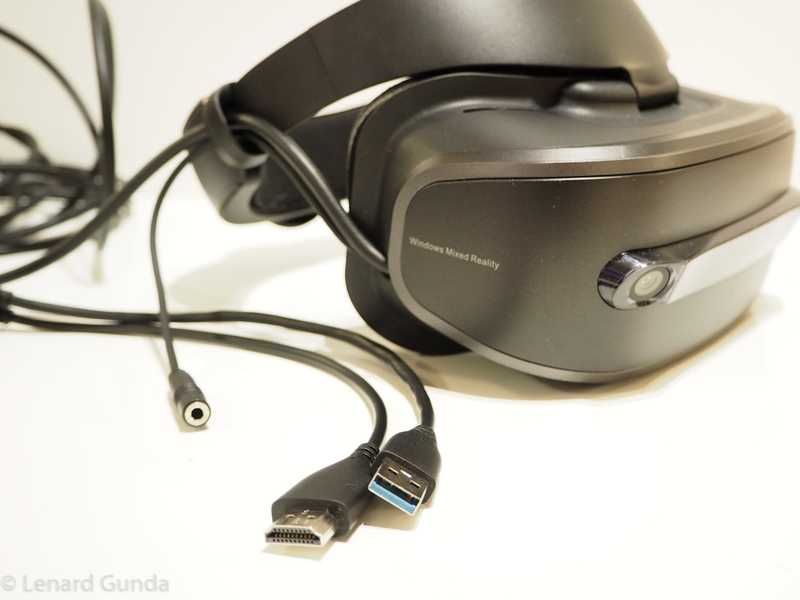 Part 1: Lenovo Explorer review (this article). General overview, how it works. 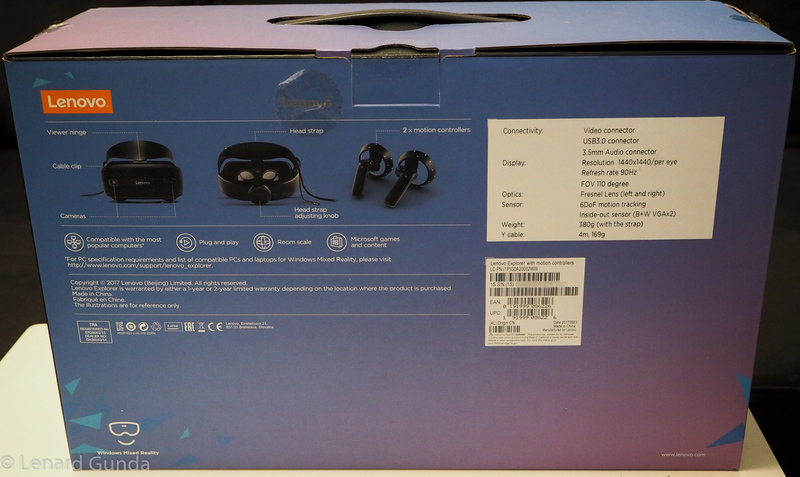 Part 2: Lenovo Explorer and SteamVR (to be published soon). Game in VR. 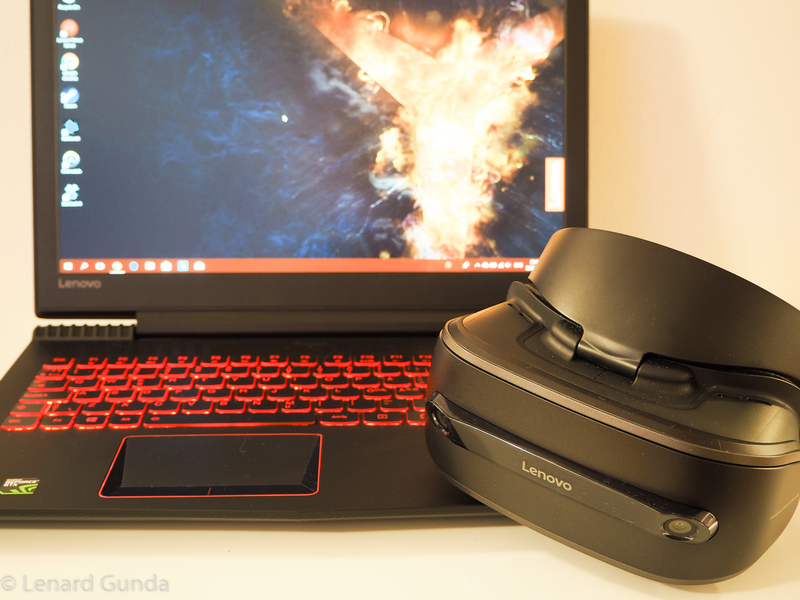 Part 3: Lenovo Explorer setup experience (to be published soon). Technical discussion. The virtual reality you can experience using the Lenovo Explorer is fantastic, beyond anything I expected. Presenting a world around my eyes that is not there, yet, my brain makes it as real as the outside world. This is not the world of blazing fast graphics: even a modest PC can drive the experience, and the immersion is still very much real. 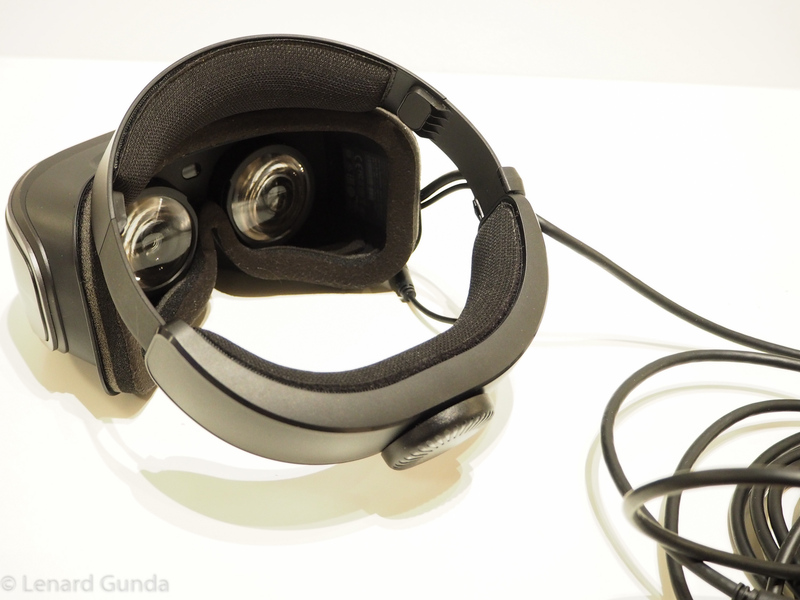 Lenovo Explorer opens up the world of Virtual Reality to anyone. But why Mixed Reality (MR)? 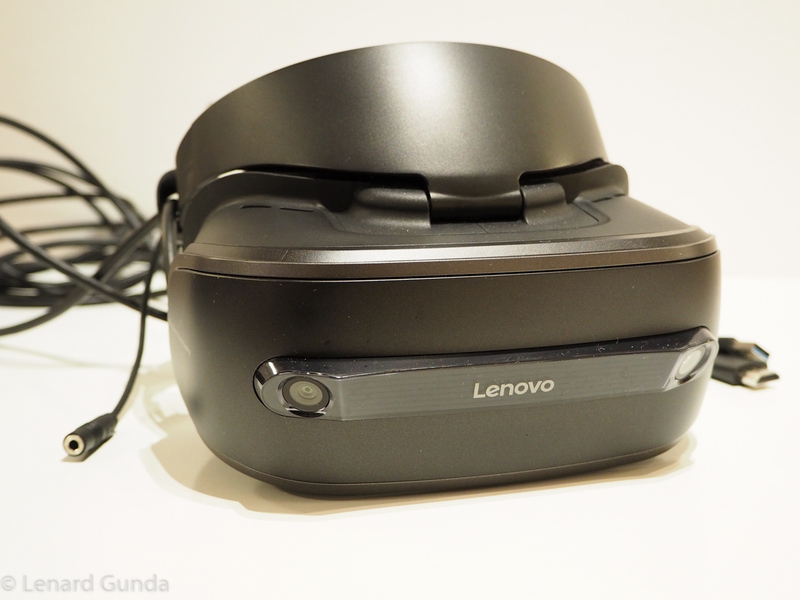 Lenovo Explorer is a Mixed Reality headset. I know you will ask, what is a mixed reality? (Because that was what I was wondering the first time I heard about this headset). We have Virtual Reality and Augmented Reality, but what is Mixed Reality? 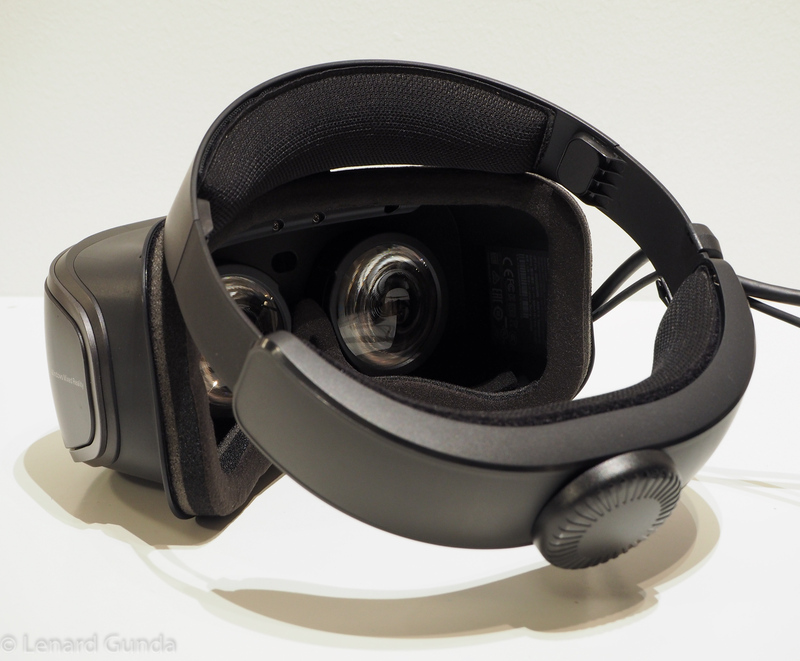 Why not just call this headset Virtual Reality (VR)? Mixed Reality is a fancy term used by Microsoft to denote its virtual reality experience. It includes immersive environments, casual games, social apps, live events, 360 degree videos, etc. It aims to make the world of VR attainable to anybody, by lowering the entry requirements. You can read more about how they see MR on their webpage. WMR is supported by other vendors as well, not just Lenovo. Make no mistake, this is Virtual Reality! In my opinion you can safely ignore the Mixed Reality term and just use VR instead. This is what I will be doing in this article. I think the experience deserves to be called virtual reality! The only difference from mainstream VR glasses I can see is that VR glasses require ridiculously powerful hardware, and the MR glasses cope with something less. What is less? I will be publishing a separate article on hardware requirements and setup. This article will include shots of the hardware mostly. Why? Because a screenshot would not differ that much from what a normal screenshot would show, nor would an in-game video. 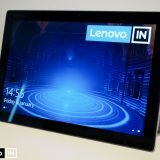 That said, you can check out my video review of the Lenovo Explorer, which shows you some shots of the display from the computer. This is supposedly the same view I see in the glasses, although of course I see it in first person in front of me, and the viewers of the video just see it as a “flat” presentation. Unfortunately, it is impossible to convey in textual or graphical ways how it feels like to step into a VR world. I will do my best to describe it, but you have to see it to believe it! So will you take the red pill with me? 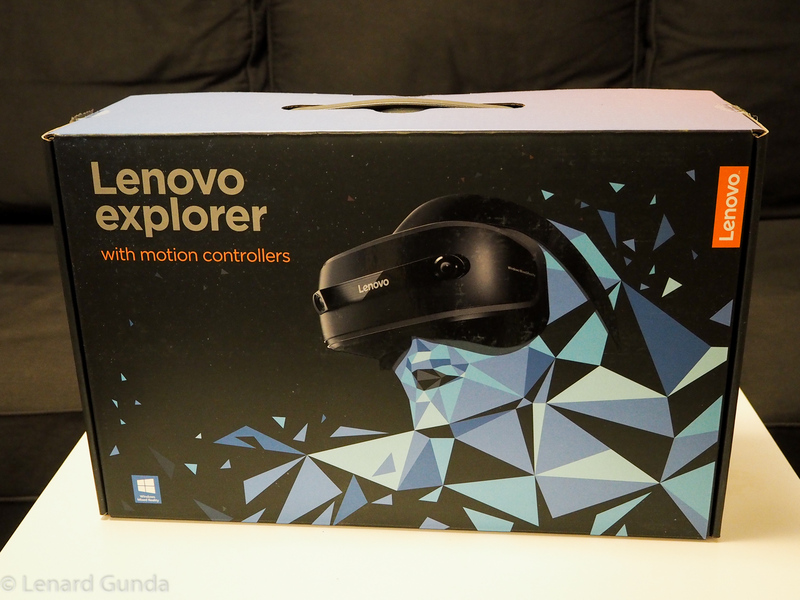 I was very excited to receive the Lenovo Explorer, couldn’t wait to open it up and set it up. 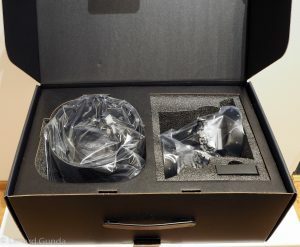 The Lenovo Explorer comes in a quite large box, but it is not very heavy. The box doubles up as a storage or carrying case. It is very easy to transport all the devices in it – should you need to. The box is very well padded on the inside to prevent any damage to the headset or accessories. The motion controllers were included in my version, but you might find a package sold without the controllers. Do yourself a favor and do not buy this without the motion controllers! I believe the headset can be interesting and entertaining on its own as well, but without the controllers you are really getting a lesser experience. You can use a Windows compatible game controller, such as an XBox One or XBox 360 controller. Or you can use a keyboard and mouse to control it. Using the VR experience this way is just incomplete and not very comfortable. The headset is quite light. It has a long cable that terminates in a Y splitter. 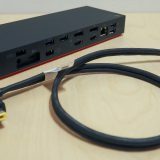 One end is an HDMI connection and the other is an USB 3.0 connector. You need to connect both into your computer. There is also a 3.5mm headphone connector you can use to add any headphones you like. 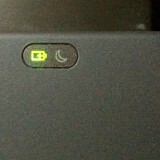 The only adjustments possibility is the round button at the back, that can be used to adjust the size of the headset. This also means that for computes without a HDMI connector, you will need an adapter. Some notebooks come only with USB Type-C connectors, but you can easily turn these into HDMI with an adapter. Same goes for computers with a mini-DisplayPort, although those are going away. Just make sure you purchase a quality adapter, to prevent headaches with bad dongles. If you want the Lenovo adapter, here is their USB Type-C to HDMI adapter. 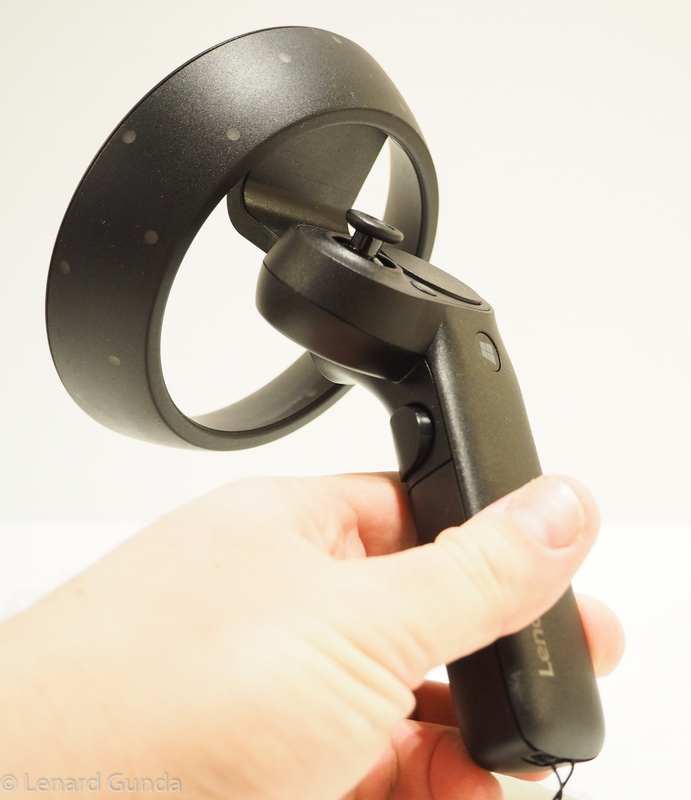 The Lenovo Explorer comes with two motion controllers. These connect to your PC using a Bluetooth connection. The two controllers are mirrors of each other: one for the left hand, and one for the right hand. There are several buttons and controls on them. The top side has a thumbstick and a touchpad (which also doubles as 4 buttons). You have a menu button and a Windows button. The side has the grab button. Finally, at the front is the trigger button, that you squeeze with your index finger. The controller feels very ergonomic and easy to use. I gave it to several people to try it out, and they got the hang of it very quickly. When the controllers are on, the small dots you see there light up in white. The lights flash when you are pairing them with your computer. Setup is really easy, but there are some things to consider. I will dedicate an entire article about the setup experience, so make sure to check back if you are interested about that sort of thing. 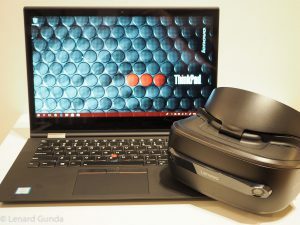 I tested the Lenovo Explorer with the following notebooks. You can of course run it with desktops as well, I just don’t own any desktop computers anymore. Requirements are comparable to notebooks. This article will focus on the experience itself. So once I have setup everything, I was ready to enter … the cliff house. As you enter the Windows Mixed Reality experience, you are taken to the cliff house, a virtual place where you can put the apps on the walls and start exploring Virtual Reality (or Mixed Reality if you want to stick to Microsoft’s name). The cliff house serves as an introductory place so you can really see what VR is all about. And I did take some time to just look around and move around. It was almost unreal standing in a completely different world – yet, still in my living room. It just looks amazing having stepped into this fantastic world with floating islands visible in the distance. You are on a cliff, to the back there are green hills and the other side you overlook the ocean. You can go to the edge and peek down. If you are afraid of heights, you should not do this. The experience is very real, and tricks your brain to believe you are actually there! 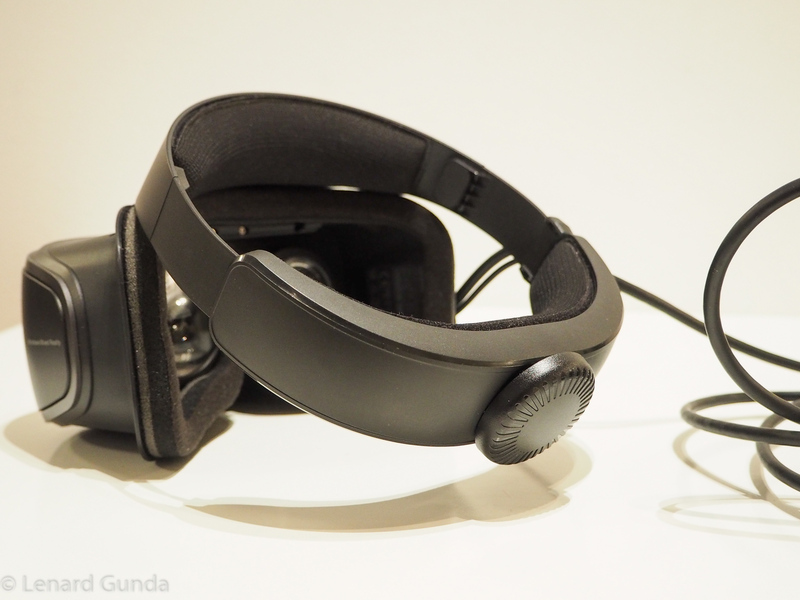 The headset tracks the motion of your head perfectly. You can look around, and the image follows without delay. It took no time to convince my brain it is actually somewhere else. The headset also detects movement, so if you step one step forward in the real world, you step one step forward in the virtual world. Of course you cannot just walk straight ahead. I would either end up in our kitchen or bump into a wall. Luckily the Windows Mixed Reality setup takes care of you. When you setup the full experience, it maps the edges of the room. 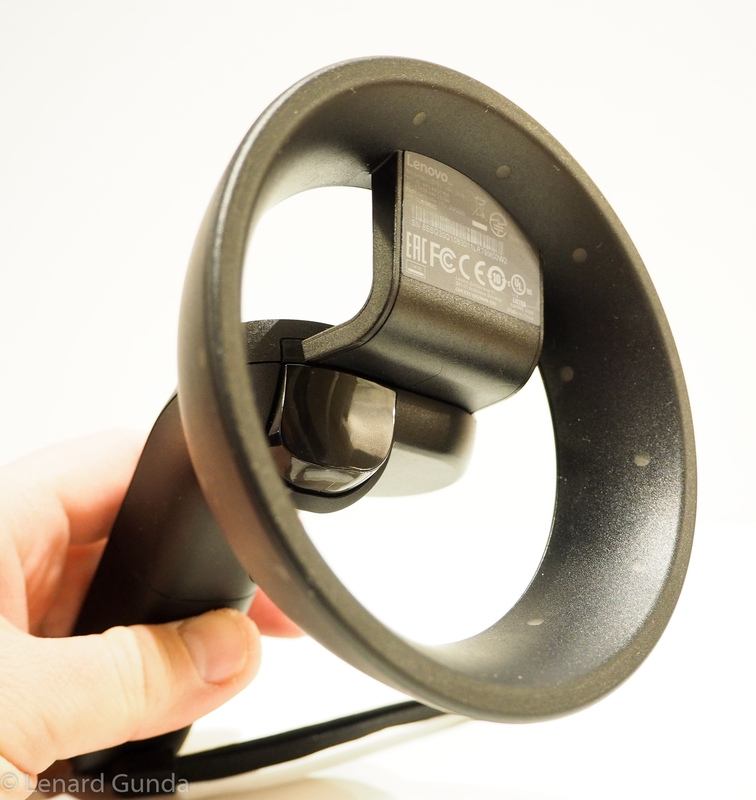 The headset will detect if you are approaching the edge, and warns you. It draws lines on the screen to warn you, that you are near the edge. So hopefully you will not walk into the sofa and fall. For bigger movements, you can use the motion controllers. With these, you can teleport around the cliff house, moving several meters at once. You can also use them to turn, but I found it more fun to actually turn around myself. This place is not called a cliff house for nothing. You can stand near the edge of the cliff as well. Then look down, and it is a long fall down into the ocean. Just lean forward, and this leaning motion is perfectly detected by the headset, the visuals follow the movement smoothly. The experience is very believable. It is actually so real, that you wonder what would happen if you take just one step forward? Already at this stage, in the cliff house, you can be aware of your computers graphics performance. 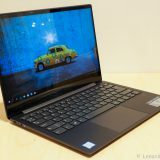 When I entered with the X1 Yoga, I did not see that many details. When I used the Legion Y520, the dedicated GPU made is possible to see more details. Performance was still good on the X1 Yoga. There was no lagging, the motion was smooth and fluid. This is not to say the experience would be ruined by using a not so strong computer. Quite the opposite. 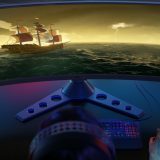 It is a kudos to Microsoft for optimizing the experience to run well on a wide variety of hardware configurations, for anyone to be able to enjoy the VR experience! Their hardware check also prevents you from entering Windows Mixed Reality if your PC would be unable to provide a satisfactory experience. The cliff house has many wall surfaces. The idea is that you can pin your apps on the walls and in the inside of this house, from where you can then start the app you would like to use. Some app representations are flat (like a picture), some are more like a statue. You are free to decoare the cliff house as you want. When you come back here, everything is as you left it. The controllers allow you to position the different applications around the house. You can bring up your start menu to select apps, or start the Windows Store app and purchase or download content. Having owned Minecraft for Windows I elected to continue my exploration with that game. I always knew Minecraft was modeled in a way that the blocks are 1×1 meters in size. But this was just numbers on a webpage until I saw the blocks in front of me! Now this was something amazing and breathtaking. I started running around, and I could feel my body resisting the experience. After all, my eyes were seeing movement that was not registered by other parts of the body (especially not my inner ear canals). I could feel I will get nauseous soon, but I kept going. I climbed up the grassy hill to take in the awesome view from the top, a desert stretching up before me. Just wow. Looking around again follows your head movements perfectly. To move and jump you use the controllers in your hands. I continued to run, the grass turning into sand under my feet. As I peered down from the hill into a valley I saw a river flowing past me, and a cave on the other side. No time to swim just yet, so I continued to run along the hill. Suddenly the ground disappeared from in front of me as a chasm opened up, the entry to a cave. It came so suddenly, that even though I stopped in time, my body reacted as it would have on the edge of a cliff, almost falling down, and I stumbled in the middle of the living room, trying to keep my balance. Wow, is it that easy to trick the brain? Some people experience nausea or motion sickness when using VR equipment. It is because the brain gets confused. Your eyes see movement, but other parts of your body fail to detect it. Movement is detected by the inner ear, where three little canals (in both ears) detect movement by observing the motion of fluid in said canals. These do not detect movement as you run around a virtual world. And that can make you dizzy. Not everyone will experience this, though. Some VR worlds solve this by making motion or turning staggered, instead of a smooth animation. In Minecraft running around, jumping and turning is smooth. An that made me a little dizzy. This kind of experience is very stomach turning for me. Unfortunately I am prone to motion sickness, and tricking the brain this way does not help much. But I enjoyed the game immensely. There is another way to play, when you see the game on a giant (virtual) screen in front of you while you yourself are located in a giant (virtual) Minecraft room. This takes away the motion sickness, but is also much like sitting in front of the computer. I continued a little bit, mining some blocks, looking around, until night came. And because I elected to use Survival mode, all the monsters came out. It wasn’t long before the nauseous experience ended by being eaten by a zombie. Next up on my list of things to try was 360 degree videos. I downloaded Jaunt VR, which allows you to see several of these videos. You can step in the middle of a rock concert, or look at a trailer for the recent scary movie IT (from Stephen King). There was a very cool Star Wars Rogue One experience as well. The crew recorded the filming of a scene on a 360 degree camera. You can follow the actual action in the movie as it is recorded, or you can concentrate on the filming crew, the surroundings, whatever you want. It is just one video, but making it a VR video just makes it so much more fun and multi-layered. There was a trailer for the movie IT. This one can make you jump or scream out loud – whichever type of person you are. I will not spoil it in case someone wants to watch it, but be very prepared. Experiencing everything in a first person view, with the sounds all around creates a very different viewing experience than just looking at your monitor. If VR gets more mainstream, I see a lot of potential in VR storytelling. Sadly most of the videos on Jaunt are short. But they do give a good overview of what you can do with VR videos. After viewing some of these, it was time to move on. There are many apps to watch 3D videos. Amaze 3D videos and Inception are other services offering videos. Amaze 3D had a very unique zombie experience – where you experience a zombie attack from the first person view, in VR. I had a friend visiting and we put his wife into this zombie apocalypse. Yes, there was screaming! She even said she had to close her eyes at one point. But as she likes scary movies and zombies, no harm was done. ASTEROIDS! is a short animated movie (about 11 minutes) that you can experience in VR as well. Again, you can inspect any part of the scenery you want, look anywhere you want. The main action will unfold despite you watching it or not. In this experience you can view the air traffic around Amsterdam Schiphol airport. The actual pattern the airplanes fly, and the flight numbers are based on real flights that happen around Amsterdam. I don’t think it is real time, but the traffic is very much real. You see planes lining up to land, while losing altitude, following patterns. Or take off. For an aviation enthusiast like myself, this visualization is very cool. The graphics here are not that mind blowing, but the experience itself is. Where else can you observe in 3D the traffic around an airport? This experience debuted with the HoloLens first, but works quite well with the Windows Mixed Reality platform and the Lenovo Explorer headset as well. When it is time to finish up and take off the headset, the words of Morpheus come once again to my mind from The Matrix: Welcome, to the real world! Because no doubt about it, these are two very different worlds, the virtual one and the real one. It is mind boggling how some aspects of these different worlds bleed into each other. For example, when you hold your controllers in the virtual world, they have long peaks / rays of light attached. As I am packing them away into their box, I always remind myself not to break off their peaks, only to remember that those are not part of this world! I tried the Lenovo Explorer with a ThinkPad X1 Yoga (2nd gen) and a Lenovo Legion Y520 gaming notebook. 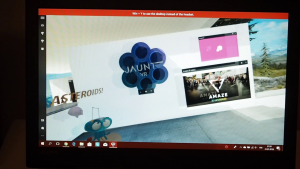 The Windows Mixed Reality platform was engineered to run great on both systems. But after trying it on the Legion Y520, I will probably stick to this one: the dedicated graphics hardware allows more content to be shown on the screen, and so it looks better. Videos work the same on both platforms. If you want just the casual VR experience, or want to watch videos on it, then you will do fine with a PC that has integrated graphics. Minecraft runs well on the integrated graphics hardware as well. But if you want to play games beyond casual titles, then you will need something with dedicated graphics. 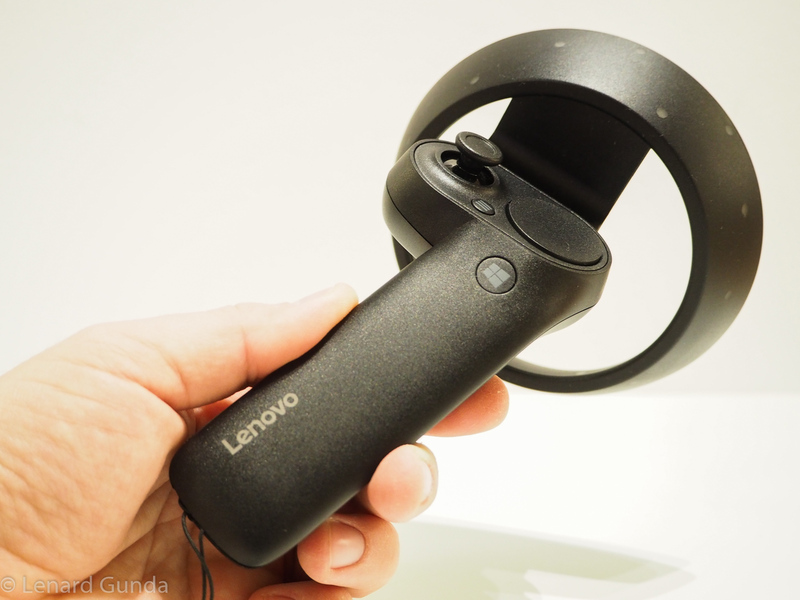 When going for these kinds of VR experiences, you need the stronger hardware to drive the display inside the Lenovo Explorer. 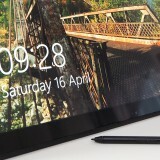 The resolution of the display in the Lenovo Explorere is 2880×1440 pixels – two 1440×1440 images side by side. Rendering this kind of content with game like details requires a dedicated GPU. 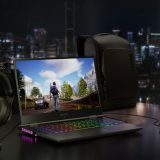 Gaming notebook of course have no problem driving these kinds of VR experiences. 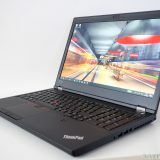 The dedicated graphics cards in the workstation type ThinkPads (P51, P71) should also be able to work well. 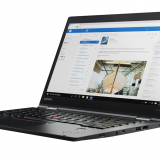 For more computers, check out the Compatible PC page at the Lenovo Explorer support site. 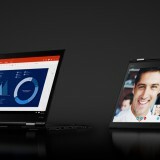 Hopefully Lenovo will keep the list of notebooks and PCs up to date. 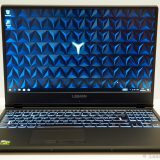 I was very surprised at how well put together the entire Lenovo Experience felt. I was sucked into the world of VR immediately, and there are still a lot of things to explore. We are also just at the beginning of the VR journey. I am very interested where the VR/MR world will bring us in the future! If you want to jump on board, the Lenovo Explorer is a great way to experience what VR feels like. You can play games, watch videos and visit places in VR. The content for Windows Mixed Reality is still a little scarce, but still enough to keep you and your friends/family/coworkers busy for many hours. There are many apps I did not try yet – I want to explore more VR content in follow up articles. I will be writing several articles about the Lenovo Explorer and what it can do. I find it an amazing piece of hardware that opens the doors to countless other worlds. Whoever I showed it up until now has also been very impressed. A friend said it was much more than he ever imagined VR to be like. Next up on my list is SteamVR. This is the VR platform for Steam, where you can play games (and do other things as well). Windows Mixed Reality works with SteamVR, and in my next article I will explore what worlds Steam offers. Meanwhile, if you have any questions, please comment below and I will try to answer as best as possible. Stay tuned for more VR updates. And now I am off to a VR world somewhere!